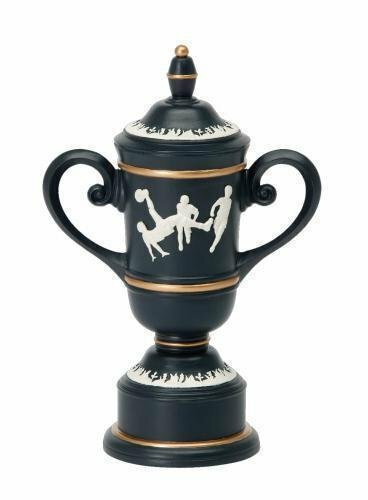 These male Cameo Soccer Cups are sure to be remembered for years to come. Many unique styling features enhance these award. 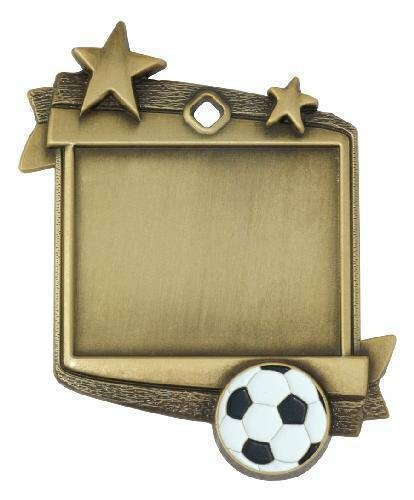 From the big sweeping handles, to the white raised cameos of a soccer player doing a bicycle kick along with the other players in motion set against an elegant black finish add to these dynamic awards. White and gold accents complete the look. A large rounded base provides plenty of room for your engraving needs and your choice of three different heights, 10", 11", and 12" gives you plenty of flexibility. 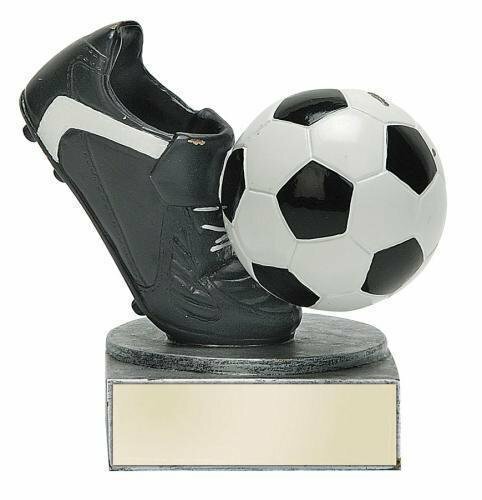 If you are looking for an economical award for your junior players this is the perfect product for you. 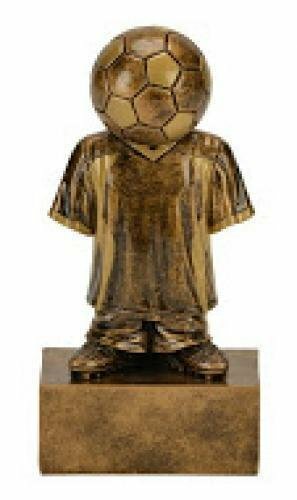 This Jersey Ball Soccer award sports a junior player with a soccer ball sitting atop a soccer jersey. Measuring 5" tall along with a classy antique gold finish and boasts a large engraving area to meet all of your personalization needs. 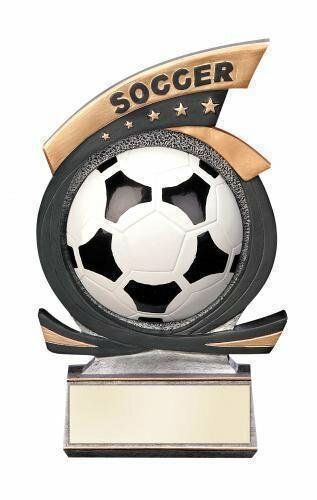 This award is available in other sports. 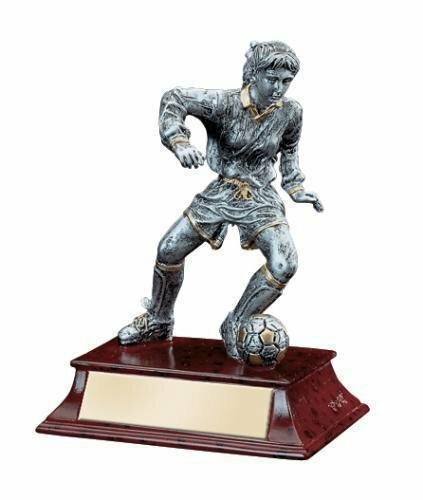 If you are looking for an economical award for your junior players this is the perfect product for you. 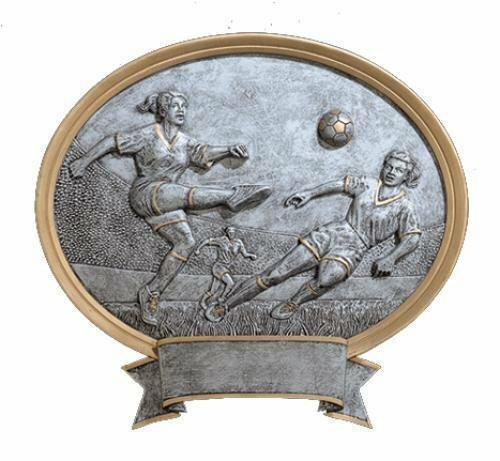 This Junior Star Female Soccer award sports a junior figure ready to strike the soccer ball at their feet while a star icon at the bottom completes the award. Measuring 5" tall along with a classy antique gold finish and boasts a large engraving area to meet all of your personalization needs. This award is available in other sports. 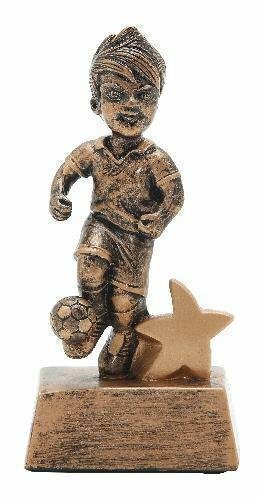 If you are looking for an economical award for your junior players this is the perfect product for you. 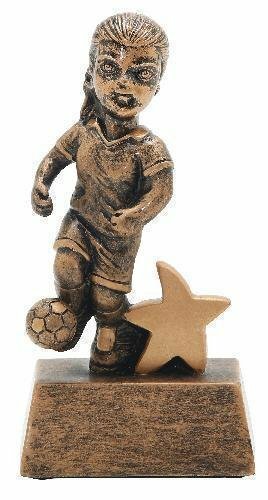 This Junior Star Male Soccer award sports a junior figure ready to strike the soccer ball at their feet while a star icon at the bottom completes the award. Measuring 5" tall along with a classy antique gold finish and boasts a large engraving area to meet all of your personalization needs. This award is available in other sports.